From top quality seasonal local produce to a comprehensive range of fruit and vegetables, exotic fruits; all from an established network of suppliers; MELS FRUIT & VEG supply only the best quality produce which are in season and available on a daily basis delivered to the door by a fleet of Mels vehicles. 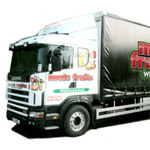 Mels Fruits is all about moving forward, constantly reviewing the business practice and through an extensive Improvement programme can give customers the best possible service. Special orders are welcome with the introduction of supplying dairy products, eggs, oils and prepared chilled vegetables including par fried chips and wonderful fruit baskets. 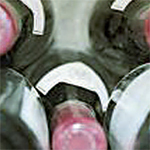 The Big Red Wine Company is located in the heart of East Anglia. Founded on the passion for the robust wine of the Rhone Valley, we have built on our portfolio of some of the region’s very best producers to include wine from the rest of France and also Italy and Spain. We work with small, quality-conscious estates which mean we have excellent knowledge of the wines and wine makers. We import every wine of our list, ensuring the best price in UK. Additionally, we have strong partnership with other specialist to ensure a comprehensive range of wines available. We offer a range of service to the trade including staff training. 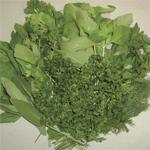 English Country Herbs is a long established family company growing and supplying fresh cut herbs based in Suffolk. 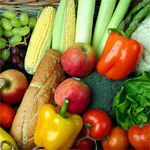 The business supplies Hotels, Restaurants, Supermarkets and Wholesalers with a whole range of fresh culinary herbs. The range include sweet basil, coriander, parsley, thyme, rosemary, mint and many others, especially salad leaves and edible flowers. All of which are grown in season at our nursery and farm in the Suffolk and sourced from reputable certified growers in Israel, Spain, Colombia throughout the year. We can deliver 5 days a week delivered by our own transporter or courier. Call us to add flavor and aroma to your recipes and dishes. Elveden rose to significance as an internationally renowned sporting estate in the early 19thC and from the 1860’s has supplied its game to the smartest London restaurants and department stores, the estate was brought by the 1st Earl of lveagh, the head of the Guinness family, in 1895 and has remained in the family since then. 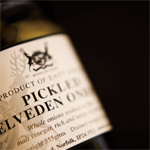 Today Elveden Fine Foods is one of the leading wholesale distributors within the East Anglia and its primary function is to promote and supply local food and drink to independent retailers and the food service industry. From the estate we have our own extensive range of top quality products including venison, free range chickens, fresh vegetables and a large selection of jams, chutneys and pickles. In addition to this we have over 60 local suppliers that allow us to provide the very best East Anglia has to offer.